We all want the best for our pets, and this is why there is an increase in number of pet owners turning to natural remedies, holistic approach and even healthier diet to provide a better quality of life for their furry friends. Going back to basic, natural herbs/ medicinal plants has been used to treat illness since approximately 60,000 years ago. One of which, the Neem plant originated from native India and it’s subcontinents such as Nepal, Bangladesh, Sri Lanka and Pakistan. 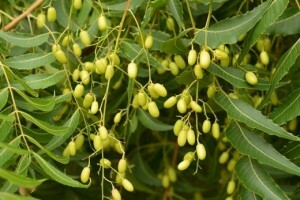 It’s fruits and seeds are used to produce Neem oil. Over the years, it has been found that Neem does not only benefits human, but dogs too! The compound in Neem create hormonal disruptions that prevents the insect from feeding, breeding and metamorphosing. After absorbing the Neem extract, the adults will be unable to reproduce and feed properly which eventually lead to starvation and death. For the larvae and pupae, it will interfere with the key insect hormone and prevent them from completing the metamorphosing process and growing into adults, thus plummeting the population of the insect. With pet owners becoming more well-informed and educated these days, commercial synthetic pesticides are slowly losing its footing in the market as it contains chemicals which are harmful to pets in the long run. 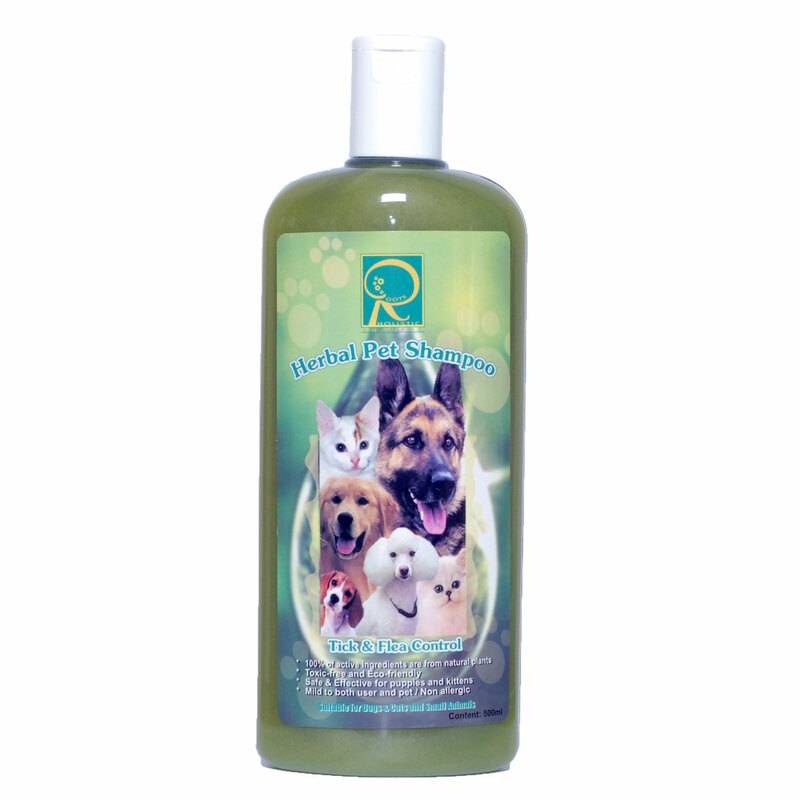 Natural and herbal based pet products have proved to be as potent as many commercial products, with it being more environmental friendly and non-toxic. Roots’ Herbal Flea and Tick control uses natural ingredient such as high grade Neem and Sweet sop extracts to keep the fleas and ticks off your beloved pets. Sweet soap extract will directly kill the pests by the end of shampooing while the larvae and pupae will generally die within 3-14 days upon contact with the Neem extract. Unlike chemical insecticides, Neem extract works on the the insect’s hormonal system and not the digestive or nervous system, and does not lead to development of resistance in future generation. It is gentle enough even for newly born pets. Now, time to keep your pets safe and tick-free with Roots Herbal Flea & Tick control shampoo, and give them a smooth and shinny coat.